Living in NYC has been a goal of mine basically since middle school – back when I thought I was going to go to FIT and that my dad would get me an apartment LOL. This is what all Manhattan apartments look like, right? My first job out of school (in retail management for a store that those of you who have followed me since the beginning have probably figured out by now) was in Jersey and I just couldn’t get behind the reverse commute life. By the time I had a permanent job in NYC, the majority of my friends had been living in the city for a while and didn’t want to break their leases. This is where the magic of Twitter stepped in. 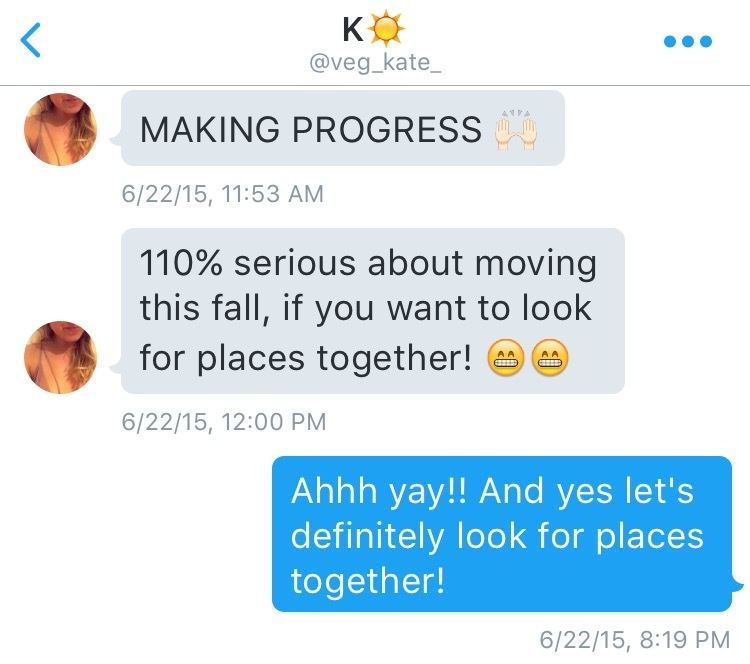 @lawfittie (now @veg_kate) tweeted me that we have a mutual friend – after some DMing I learned that she was best friends from college with one of my best friends from high school (is it a small world or what?!). She was moving back to NJ from Boston after law school and wanted to live in NYC. By December we had a group of four – our mutual friend and another one of my good friends from high school. We figured that with a group of four we could get a bigger, better space. Turns out, four bedroom apartments are basically the unicorns of NYC real estate. All the apartments we saw were either really nice three bedrooms that would require us putting up a wall or total disasters. And then we saw a unicorn. Four true bedrooms in Gramercy, windows in all bedrooms, washer & dryer IN UNIT!! The only small hiccup was that it was completely gutted when we saw it and we had to make a decision. Our reaction: So this will also be newly renovated?! Where do we sign? 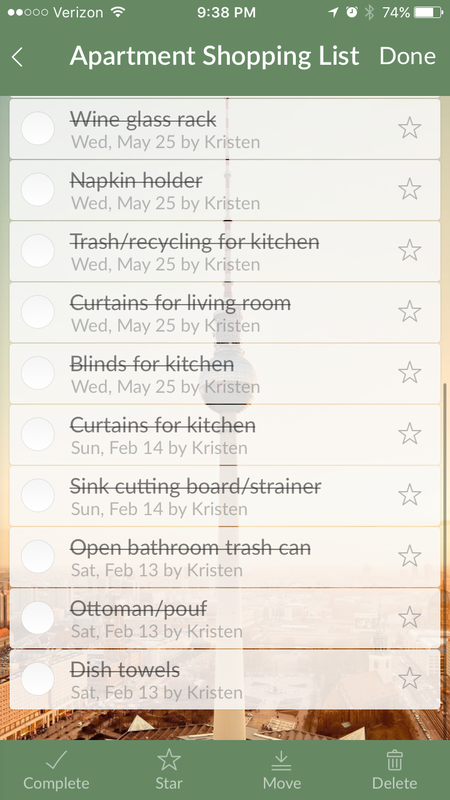 Another small miracle was that the apartment wouldn’t be ready until mid-Feb which gave us a little over a month. Thank god, because I obviously made a huge interior decorating project out of this move and now I had more time to prep. One of my friends had a lot of furniture from her previous apartment and then we hit up every outlet in the tri-state area (Restoration, Pottery Barn, West Elm). Fortunately, all four of us had a similar vision for our shared spaces, so we basically we killed the home shopping game. Here’s a little preview of where we ended up. Full apartment tour to come!